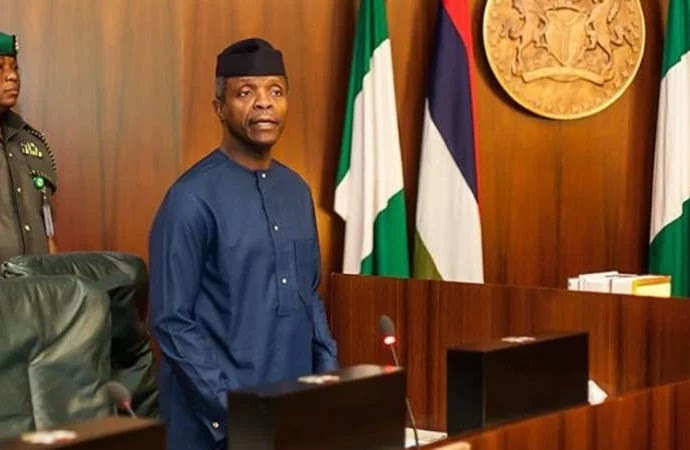 Vice President, Professor Yemi Osinbajo on Friday in Ibadan, the Oyo state capital, said he agreed with some Nigerians clamouring for the restructuring of the country. Osinbajo who spoke with journalists shortly after he attended the Great Nigeria Pastors conference held at University Teaching Hospital (UCH), Ibadan, also disclosed that states deserved greater freedom to control their resources, increase their income and internal security. He said, “Restructuring is very important to us as a people and and as a nation. But we also have to be careful with what we mean by restructuring. “One of the issued raised which I agree with is that States should be able to control their resources, control their own security, they should be able to generate more income and exercise greater freedom. “We discussed about security and we believe we should do more. We agreed that people feel more secured when they can control their security which bring to fore the issue of state police. It will give them confidence”. Osinbajo, who expressed optimism about the future of Nigeria, said the forces of darkness is being fought for light to shine. How Recession Made Me Discover How To Extract Silver From Wastes For Insane Profits Speaking on the theme “Nigeria of our Dream” Chairman of Oyo State chapter of Penticostal Fellowship of Nigeria (PFN), Bishop Taiwo Adelakun told the Vice President that Nigerians deserve to know the truth about how government was handling some issues which have been of concerns to them. He said Nigerians would want to know what, the government that put the fight against corruption as its cardinal programme, is doing to fight graft within its government and the ruling All Progressives Congress (APC). Adelakun said, “We Pastors want to know what the government that put fighting against corruption in the front burner is doing about “Mainagate” and other government officials alleged of corruption. “Many Nigerians believe that the anti corruption war is selective and that is why it is not effective”. He said the recent upsurge in killings and kidnappings by the terrorist Boko Haram group in the North East and government seeming lukewarm attitude to checkmating the nefarious activities of killer herdsmen were of grave concerns to Christians. According to him, “We have been told that Boko Haram had been technically defeated but they have killed many and kidnapped over 120 people this year alone”. He also asked the Vice President to speak on the incessant clash among security agencies, citing the instance of the public scuffle between operatives of the Economic and Financial Crimes Commission (EFCC) and men of Department of State Security (DSS). Adelakun said Christians would continue to pray for the release of the Dapchi School girl, Leah Sharibu who is still being held by Boko Haram for refusing to deny her faith.